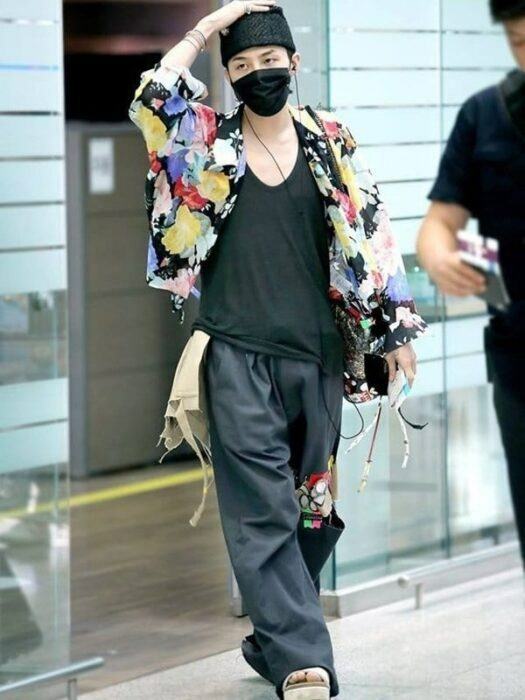 Whenever the K-Pop idols appear at the airport, they also dress as fancy as many fashion icons. Most idols when appearing at th airport will choose comfortable and convenient clothes. However, this doesn’t mean they don’t have any chance to shine at the airport! 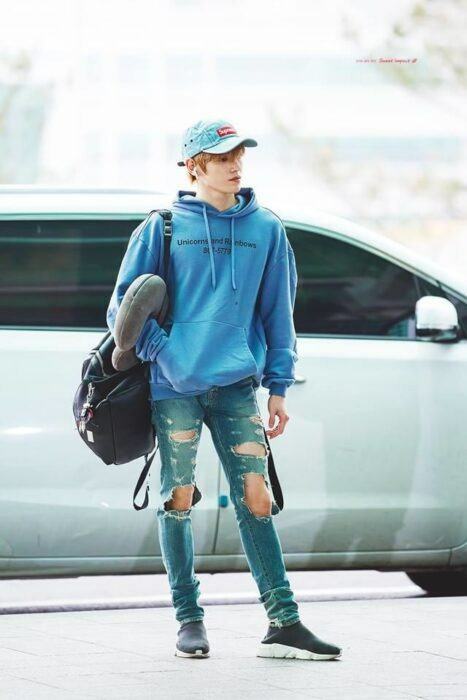 Many K-Pop idols have turned the airport into a chaos with their impressive and unique fashion choice. Let’s see who they are! Not just her royal and arrogant aura on stage, Jennie’s airport fashion is also very unique.Her airport fashion taste is very modern with a smart touch of mix and match. Not many idols can turn anything into a high-fashion item like Jennie. Jennie with her chic fashion at the airport. Sometimes, just a mere t-shirt like this is enough. 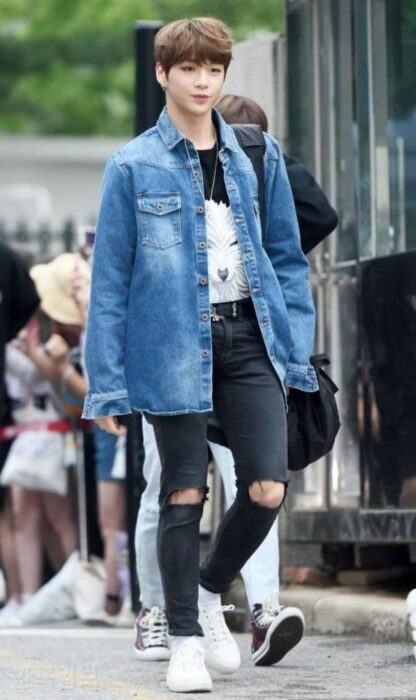 With his shoulder as wide as the Pacific Ocean along with the long legs, Kand Daniel could turn any airport into his catwalk stage whenver he has the chance. 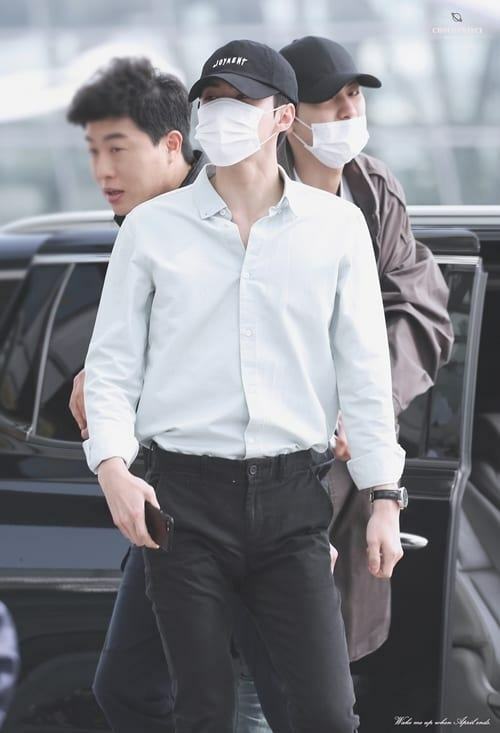 His perfect body ratio and perfect height couldn’t be hidden even if he only wears a simple t-shirt or a long jacket. With this perfect body proportion, Daniel looks good at every angle. 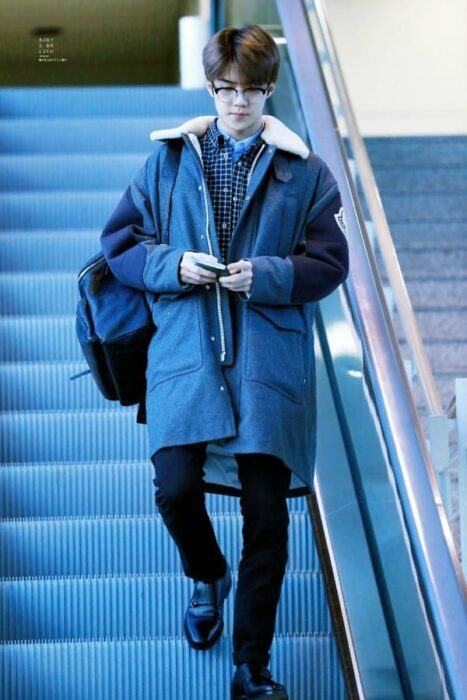 Sehun’s airport fashion is quite discreet and simple. EXO’s youngest often chooses the black and white outfits but keeps them extremely elegant and charming. Sehun’s aesthetic is also highly appreciated by netizens. Sehun used to attend the events of a fashion brand and was also voted the most beautiful man in two consecutive years. Sehun is extremely elegant and charming when appearing at the airport. 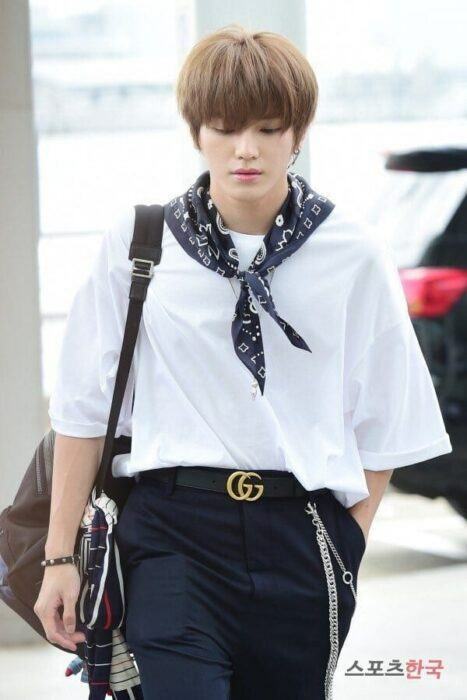 A golden face in the airport fashion list is Taeyong. 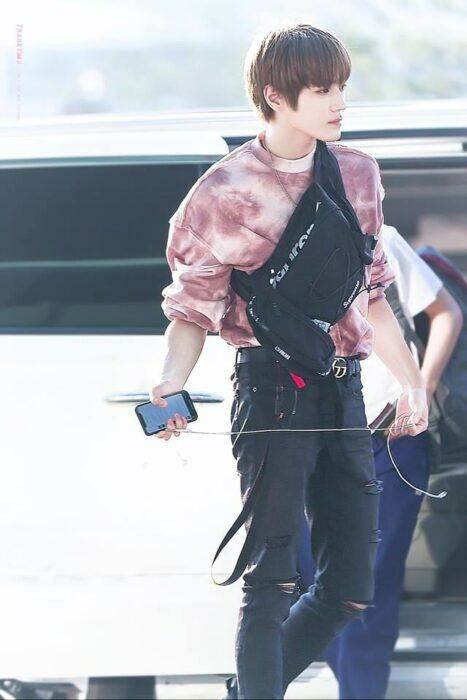 Taeyong is always praised by netizens for his extremely perfect fashion sense everytime he showed up at the airport. 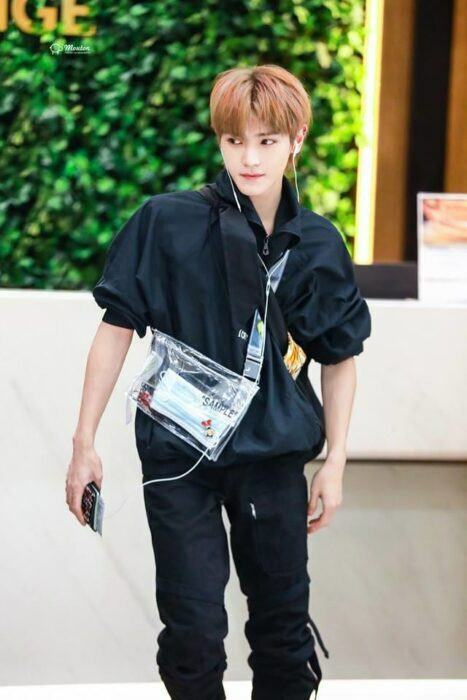 Even accessories such as backpacks, keychains, cross-bags … are also mixed and matched with Taeyong’s precise accuracy. With his handsomeness and a wonderful taste like this, it’s not strange that Taeyong is popular with many fans. Taeyong often combined with accessories to create uniqueness for his costumes. When it comes to the idols possessing the impressive fashion sense of Kpop, the name G-Dragon can’t be missed out. 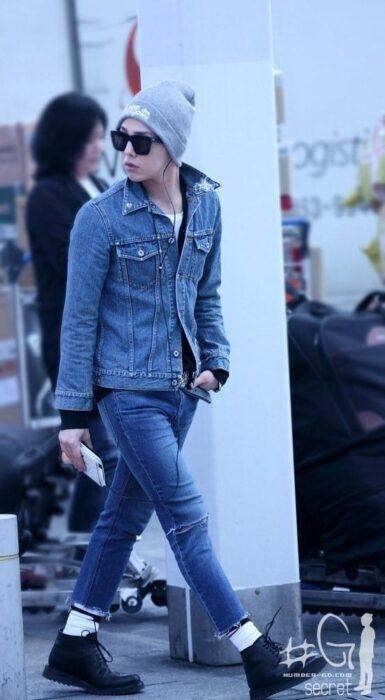 The BIGBANG’s talented leader is always considered the fashion icon of Kpop thanks to his unique and fancy style. 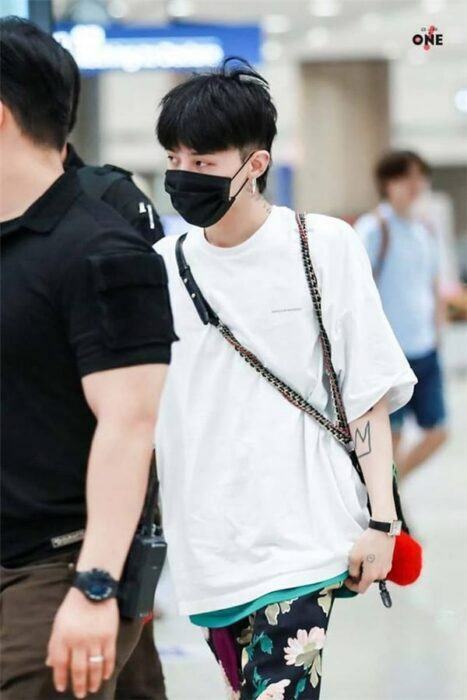 Sometimes, fans may be a little surprised by the ways that G-Dragon doesn’t dress up when he arrived at the airport, but no one can deny that G-Dragon has a strange fashion sense. IU’s “national sister” has also made an impression with her airport fashion. She often chooses a set of black clothes from head to toe, but this emphasizes IU’s spotless white skin. Sometimes, IU also cooperates with extremely cute and lovely beret hats. 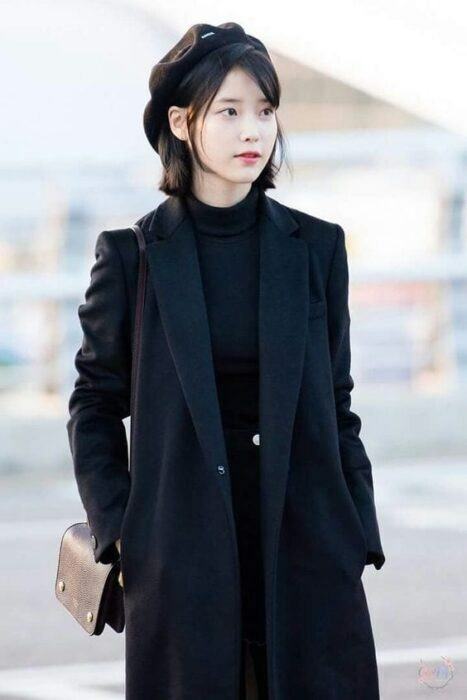 IU’s airport fashion is simple yet beautiful! 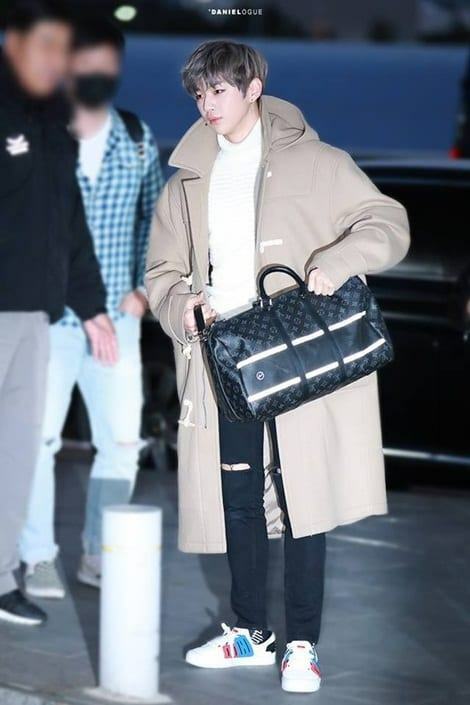 The airport is still often seen as a place for Kpop idols to show off their own fashion styles, so idols tend to make the airport their runway due to this reason. Above are the Kpop idols who are commented as the most impressive fashionista of Kpop by the public. Which idol style are you most impressed with?